Not edited a main menu in a while but I'm 99% sure it's just "paintbackground"	"0"
I hope this isn't too obvious, I looked on http://doodlesstuff.com/?m=tutorials and couldn't find what I needed. 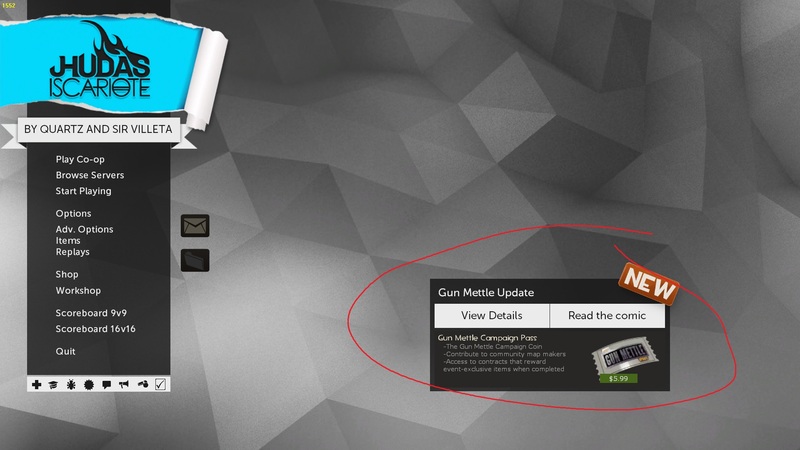 how can I remove this from the main menu? Widespread_Panichow can I remove this from the main menu? [quote=Widespread_Panic]how can I remove this from the main menu? If it uses a non-stock font for the numbers, you'll have to move them + make clientscheme font entries. I am trying to edit the position of the number shadows for the ammo/health but doing so only changes them in the regular version of the hud, and not the minimal version. I tried creating a "wide_minmode" and "tall_minmode" reference in the .res files but that didn't work, and editing the x and y values moves the shadows too far. xpos_minmode and ypos_minmode are for changing the position in minmode. EDIT: Oops, didn't read your full post. Where are you trying to move the shadows to? Dan_xpos_minmode and ypos_minmode are for changing the position in minmode. I am trying to move the health shadow just a bit to the right so it matches the ammo shadow. Azazel Dan_xpos_minmode and ypos_minmode are for changing the position in minmode. Sure the text alignment is the same for both? I've recently installed a flatHUD, but decided to change some colours (ammo numbers to be exact). But whenever I run low on ammo and then refill it, the colours change back to HUD's original ones. Here are the screenshots. 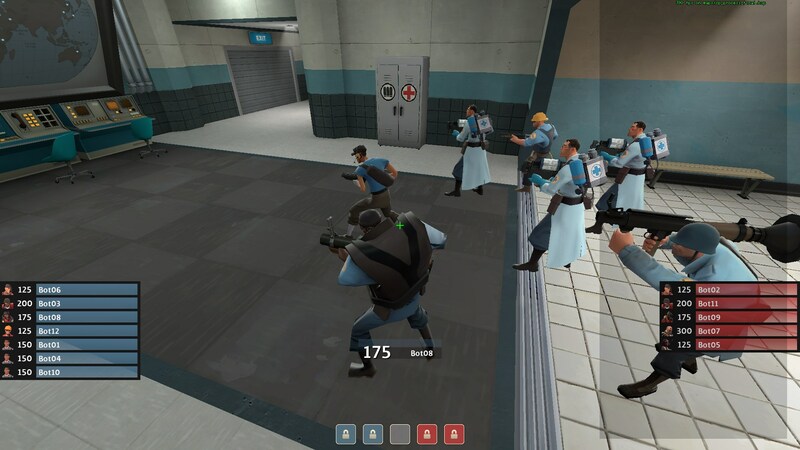 Also wanted to know if how can I change Medic's Uber meter to two-color flashing instead of rainbow flashing. I've recently installed a flatHUD, but decided to change some colours (ammo numbers to be exact). But whenever I run low on ammo and then refill it, the colours change back to HUD's original ones. [url=http://imgur.com/a/dVp7K]Here[/url] are the screenshots. rage1I've recently installed a flatHUD, but decided to change some colours (ammo numbers to be exact). But whenever I run low on ammo and then refill it, the colours change back to HUD's original ones. Here are the screenshots. 2) scripts/hudanimations_tf.txt - it's a text file for whatever reason so it'll likely default to notepad unless you changed it, so just remember to open it in Notepad++ or something similar to keep formatting and such. Comment out the rainbow charge section by putting // at the beginning of each line. The easiest way for you to do 2 colors would be to copy and paste the Orange Pulse section, uncomment it, and change "Flashing Uber Color" to any 2 colors you want. You can use either defined colors in clientscheme.res or any colors with the RGBA color scheme. [quote=rage1]I've recently installed a flatHUD, but decided to change some colours (ammo numbers to be exact). But whenever I run low on ammo and then refill it, the colours change back to HUD's original ones. [url=http://imgur.com/a/dVp7K]Here[/url] are the screenshots. Basically need help finding where to edit these elements in the backpack/loadout area. and change draw_corner_width and height to 0. Then repeat this for every quality. }[/code] and change draw_corner_width and height to 0. Then repeat this for every quality. hudplayerclass.res, under the entry "PlayerStatusClassImage" change xpos to 9999 or something. "Sort Backpack" font won't change for some reason. And also the item quality color disappeared, if anyone knows how to get them back. Thanks! "bgcolor_override"	"0 0 0 0"
"disabledBgColor_override" "0 0 0 0"
"selectionColor_override" "0 0 0 0"
"defaultSelectionBG2Color_override" "0 0 0 0"
How do I remove the health from the readymode, without removing it in spectator tournament? I've been working on this for a while but somehow my VM I add is always above my ammo and health. Anything I'm doing wrong? "fgcolor"		"255 255 255 255"
"fgcolor_override"      "235 226 202 255"
"fillcolor"  "250 234 201 51"
"fillcolor"     "251 235 202 255"
"fgcolor_override" "235 226 202 255"
"fillcolor" "250 234 201 51"
"fillcolor" "251 235 202 255"
How do I make health and ammo numbers smaller? The hud I am customizing is yayahud. maelstromHow do I make health and ammo numbers smaller? The hud I am customizing is yayahud. Now my question. I used the HudAchievementTracker method to toggle my hud crosshair for specific classes for a while now. I was wondering if it was possible to also toggle the Damage Indicators for specific classes using the same method. Not sure if its a hud related thing, anyway, one of the last update added health bars (http://puu.sh/jA7wP/2b6752608a.jpg) over the head people when spectating them, for some reason I can't see them, does anybady know how to add that? carnifexNot sure if its a hud related thing, anyway, one of the last update added health bars (http://puu.sh/jA7wP/2b6752608a.jpg) over the head people when spectating them, for some reason I can't see them, does anybady know how to add that? If this is your question, I believe #7 should answer it - you either need to not have a custom HUD or have an updated one. Also, make sure tf_spec_xray is on. STOGEI'd like to incorporate SlinsFire HUDs buff/low health cross animation into my own hud edit of noto, I already tried messing with a few files but I had no luck with it. Can anyone help me get it working? Still not had any luck doing this, can someone help me a little more? The broesel health cross would suffice as well I guess if that's easier in any way. [quote=STOGE]I'd like to incorporate SlinsFire HUDs buff/low health cross animation into my own hud edit of noto, I already tried messing with a few files but I had no luck with it. 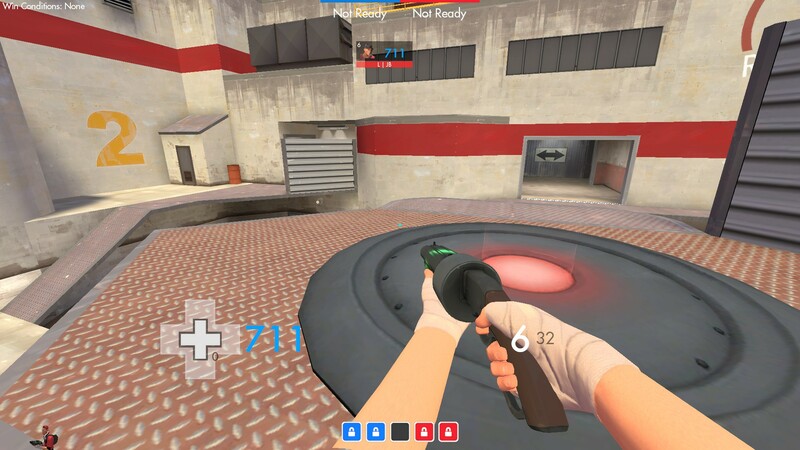 STOGE STOGEI'd like to incorporate SlinsFire HUDs buff/low health cross animation into my own hud edit of noto, I already tried messing with a few files but I had no luck with it. I can help you, accept my friend request. 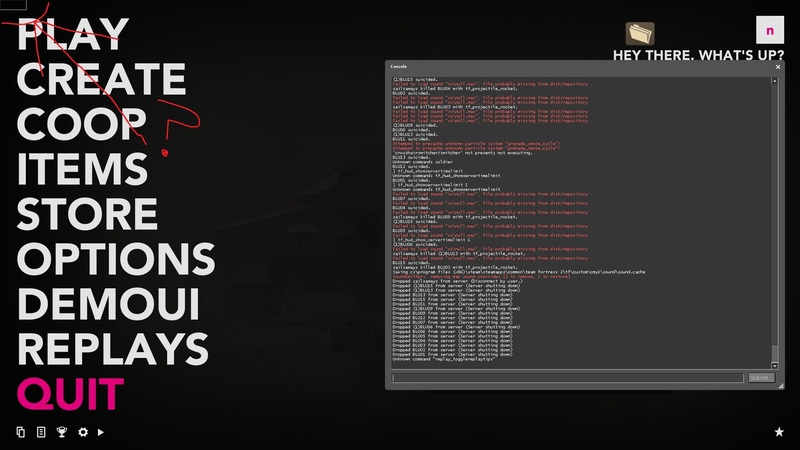 [quote=STOGE][quote=STOGE]I'd like to incorporate SlinsFire HUDs buff/low health cross animation into my own hud edit of noto, I already tried messing with a few files but I had no luck with it. Still not had any luck doing this, can someone help me a little more? The broesel health cross would suffice as well I guess if that's easier in any way. [/quote] I can help you, accept my friend request. how can I add a small black outline to my health and ammo numbers? do I affect the shadows?